Looking for a USED JCUT-1212C-2 CNC? JCUT CNC Equipment Co., Ltd located at the High-tech Industrial Development zone of Jinan, Shandong,China. Our company have high quality CNC Router, CNC Woodworking machine, CNC Advertising Router Machine, Stone CNC Router, Metal CNC Router,Cutting Plotter, Vinyl Cutter Plotter, Graph Plotter, Sign Plotter, CO2 Laser Engraver, CO2 Laser Cutting Machine, PVC Concave-convex Sign card Machine, Large Format Inks Printer; JCUT products are now used by over 50,000 companies, schools , government offices in more than 30 countries,For instance , countries and area like USA, England, France, Germany, Canada, Russia, India, Southeast Asia,Middle East and so on. 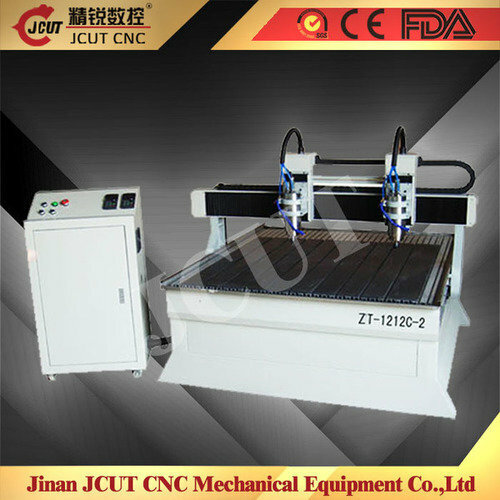 Looking to Purchase a New JCUT JCUT-1212C-2 CNC?